Life is busy. Often face-to-face meetings with your attorney can be difficult. To make things easier for you, Atlas Law can schedule your consultation via Skype. You’ll need an internet connection and a computer with a microphone, video and speaker. Using Skype is free. 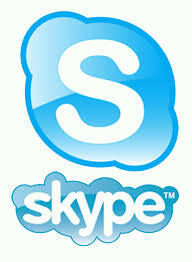 If you do not have a Skype account, you can start here. Setting up a Skype consultation is easy. Step One: Contact Atlas Law by phone or email to schedule your Skype appointment. We will provide you with our Skype username in a confirmation email. Step Two: Log in to your Skype a few minutes before your scheduled time. Step Three: Add Atlas Law to your contacts. *To add a contact, go to “Contacts” then “Add Contact” and add Atlas Law’s Skype username. Once the contact is added, simply click the “call” button to reach our office and begin your consultation. Our Detroit Attorney serves all of Metro Detroit, including Plymouth, Novi, Northville, Canton, Farmington, Farmington Hills, South Lyon, Brighton, Walled Lake. We offer flexible scheduling including weekend and after hour appointments. We even still make house calls! Get started with your virtual consultation!